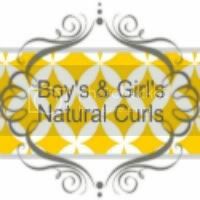 Our Review: We have used Bruce’s Babes Hair & Body Butter for quite a few styles and I always love the results we get, especially for braid outs. This butter has a firm consistency but softens up with heat, I usually just take a little and rub it between my palms and it’s easy to distribute throughout the hair. 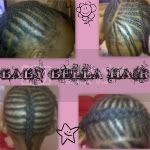 It has great hold, it definitely does its job keeping Keyanna’s fly aways down and her braids seem to last longer. Her hair is always soft and moisturized when we take down a style after using the butter and the braid out’s we have attempted have always been a success. Always very defined. I think this is because of it’s firmer texture, but at the same time it is very light so it doesn’t weigh her hair down or leave it greasy, while other butters we have tried seem to be heavier and have the opposite effect on her hair. We have also used BBB as a body butter on Keyanna’s knees and legs where her skin tends to be dryer and it has worked great, my hands are always very soft after using this product on Keyanna’s hair as well. This is one of our favorite butters and we plan on using it a lot more in the future. Here is one of the first braid outs we did using BBB Hair and Body Butter. Our Review: Along with the BBB Hair & Body Butter we also received the Shake n’ Shampoo to try. We really haven’t tried many natural shampoo’s like this, we have been using Herbal Essences Hello Hydration shampoo for the past year or so. I have to admit, after our experience with this shampoo I don’t think we will be going back to the HHHE. I love this stuff! It is extremely moisturizing and doesn’t leave her hair feeling stripped at all like we get with other shampoos. I also use this shampoo on myself and love it just as much as I do for Keyanna. This shampoo is made with oils and tends to separate which is why you need to shake well before applying, and a little goes a long way. I was worried it may leave her hair feeling greasy but it didn’t at all.. Her hair was very soft after drying. Honestly the only thing I don’t like about this shampoo is that we are almost out! Lol. I definitely plan on getting more in the near future, and making it a staple in out hair routine. Disclaimer: These product(s) were provided to me at no cost for the purpose of review, all opinions are my own. Very nice review! Her braid-out looks amazing!